The Eagles in weeks one and two were playing with fire with two one-point wins. Sunday in Arizona, they made it easy on themselves – they were never in the game. The Cardinals, a team many felt was going to have major issues in 2012, flew easily to 3-0 on the season, beating on Michael Vick and the Eagles for a 27-6 win. Former Eagles QB Kevin Kolb came back to haunt his former team, throwing for 222 yards and two touchdowns. Ryan Williams carried the ball 13 times for 83 yards for Arizona, which has won 10 of its last 12 games dating back to the midway point of last season. Larry Fitzgerald hauled in nine passes for 114 yards and a score. Vick completed 17-of-37 passes for 217 yards for the Eagles (2-1), who became the first team in NFL history to begin a season with two one-point wins. LeSean McCoy carried the ball 13 times for 70 yards for Philadelphia, which had won six in a row dating back to last season. Damaris Johnson caught five passes for 84 yards. Kolb started Arizona’s first possession of the game with passes of 14 and 16 yards to Andre Roberts and Fitzgerald, respectively. The Eagles’ defense, though, did not break and forced the Cardinals to settle for a 47-yard Jay Feely field goal. 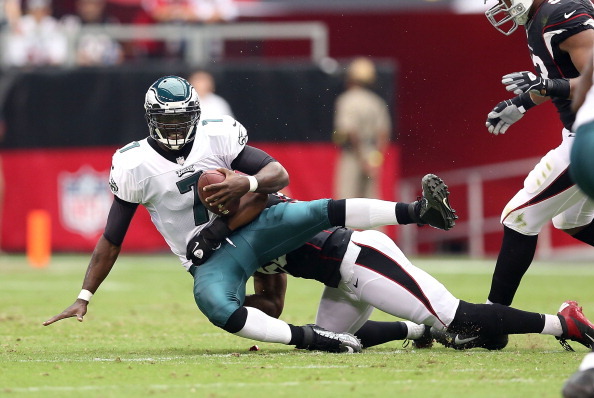 Philadelphia’s turnover problems continued after forcing Arizona to punt. 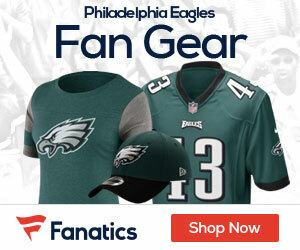 Johnson fumbled the punt and the Cardinals recovered the ball at the 38-yard line of the Eagles. Arizona capitalized with an eight-play, 38-yard scoring drive. Roberts caught a 12-yard pass on 3rd-and-8 to move the chains. Just five plays later, Michael Floyd hauled in an 8-yard TD pass. Kolb fired the ball between a pair of defenders and Floyd made a juggling catch. The Cardinals failed to take advantage of a Vick fumble early in the second stanza. But with 7:30 left in the half, Kolb used the play-action pass to hook with Fitzgerald on a 37-yard score. Fitzgerald made a nice diving catch and rolled across the goal line to make it 17-0. The turning point of the game occurred at the end of the half. Johnson caught a 26-yard pass and Vick recorded a 20-yard run, helping Philadelphia reach the 1-yard line. With 16 seconds left and no timeouts, Vick threw a pair of incomplete passes. On 3rd-and-goal, Kerry Rhodes came on a blitz and drilled Vick. The ball bounced into the hands of James Sanders, who sprinted 93 yards down the left sideline for a touchdown. 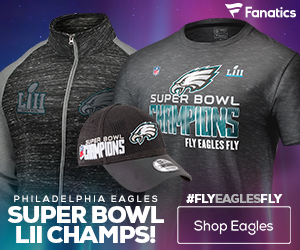 The Eagles, who came into the game as the top-ranked offense in the league, started to move the ball in the second half. Philadelphia got the ball down to the Arizona 18-yard line, but settled for a 36-yard Alex Henery field goal. After the Cardinals went three-and-out, the Eagles marched the ball down the field again. This time around, the visitors got to the 22-yard line before settling for a 40-yard Henery field goal. Philadelphia’s last chance at a comeback came early in the fourth quarter. On 3rd-and-9 from the Arizona 31, Vick was called for intentional grounding. The penalty resulted in a 4th-and-29 near midfield. The Eagles punted the ball away. Feely made a 27-yard field goal on the ensuing Cardinals possession, making it a 27-6 game with 3:52 to play.